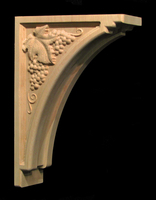 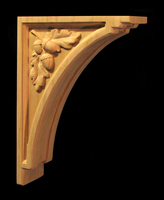 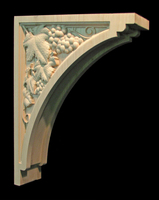 Wood carved Decorative Brackets and Corbels are traditional ornament functioning to carry overhanging loads and are frequently used to decorate kitchen islands, stove hoods and mantels. 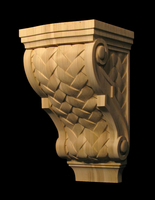 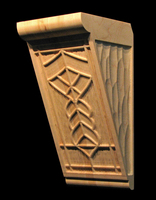 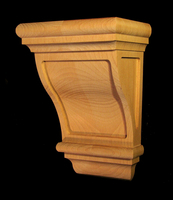 Carved wood Finials are for topping posts. 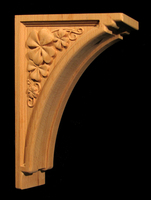 All carved decorative art shown can be re-sized to suit your needs and custom carved to order, if you don't see what you are looking for let us know and we'll happily make it for you.